There’s never been a better time to switch to natural shampoo. Sodium lauryl sulfate, a foaming agent found in traditional shampoos that strips your hair of moisture, can double your conditioner budget. While there isn’t a formal definition of what constitutes a "natural” shampoo. Some true-blue granola types cleanse with nothing but apple cider vinegar and baking soda; others are happier with a product that looks and smells more like a traditional shampoo. At a bare minimum, natural shampoo is more about what it doesn’t contain—most contain no sulfates, and many are paraben- or BPA-free, which is important for products you use every day. 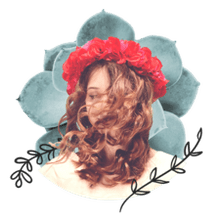 Their herbal replacements are surprisingly effective, and once your hair has adjusted, that means more moisture, more shine, and more softness day after day. Below, the top natural shampoos on the market. Rahua’s palo santo scent and pretty packaging have made it an Instagram staple, but it’s what’s inside that’s really beautiful. The company uses rainforest-grown ingredients harvested in the Amazon, purchased at a fair-trade price, which has earned them a steady supply of rare ingredients like the morete oil found in this shampoo, which is rich in vitamins A, C, and E, and beta-carotene which protects hair from damaging UVA rays. EVOLVh is committed to a natural product right down to the bottle—their fully recyclable non-plastic packaging arrives in recyclable packing materials, and their gentle formulas are highly concentrated, meaning there’s less waste, less water used in their product, and bottles last longer. But what’s inside is actually even better. A natural shampoo that actually lathers? Yep, this miracle product actually exists, and it’s a recipe for incredible hair. The highly-concentrated herbal formula uses aloe vera, coconut oil, and their signature hair and scalp herbal complex (an apothecary-eque blend of horsetail, oat buds, coltsfoot, wild chamomile, boxwood, nettle, comfrey, and other legacy ingredients blended with vitamin E) to promote shine and strength in your hair, and to help naturally detangle without conditioner. Hairstory was developed by and for professional hairdressers on the theory that haircare professionals and their clients would prefer to be able to shop online, letting customers save money by buying direct and subscribing, and letting hairdressers make a commission on their sales every time a customer restocks. But to make the model work, the product has to be worth buying over and over again—and Hairstory delivers. Our writers spent 15 hours researching the most popular natural shampoos on the market. Before making their final recommendations, they considered 30 different shampoos overall, screened options from 25 different brands and manufacturers, read over 50 user reviews (both positive and negative) and tested 4 of the shampoos themselves. All of this research adds up to recommendations you can trust.